You need to make sure any new print software you invest in is able to integrate with the rest of your tech stack. Here are some of our integration partners. You need to make sure any new print software you invest in is able to integrate with the rest of your tech stack. Here are some of our integration partners. It’s inefficient and expensive to have islands of technology running your business. So integration should be a key consideration in your buying decision. Every print software solution needs to be connected/integrated, do not make any more decisions about print software without looking how this piece of software fits into your overall technology stack. Want to talk about integration? We'll get one of integration experts to call you for an informal, no obligation chat. Being a member of CIP4 for the past 16 years has allowed us to learn a lot about our partners’ products and how to integrate with them. We keep an open attitude to finding the right solution with our partners, whoever they are. You can also use our API to connect your tech stack, which has been developed to make it easy for third-party developers to work with, using conventions and best-practices that developers are typically already familiar with. It's also self-documenting: developers can access resources detailing the available methods and parameters required and try them out in the browser, in real time, without having to write any code.  CIP4 is a not-for-profit standards association, whose mission is to foster the adoption of process automation in the printing industry. A global organization with representatives from 31 countries, its members include: printers, prepress companies, publishers, software and systems companies, integrators, distributors, consultants and educators. Why is it good that you’re a member of CIP4? Our MD trained as a software developer before joining the printing industry nearly 30 years ago, and he was quick to recognize how important integration was going to be in the future. He attended the first CIP4 interop in 2004 and saw how beneficial the organization and its meetings were – not only were they important for finding a universal means of communicating along workflows, but also for providing a collaborative environment where suppliers could learn about each other’s products. Working with CIP4 allows its members to share knowledge and understand all the components parts of a workflow. By appreciating the impact of our role on the next part of the chain, it allows us to develop our products with the next part in mind. Why are you regarded as experts in workflow integration? Our MD is from a technical background and our product road map and approach to integration is a direct result of his technical vision. When it comes to integration, he refuses to believe that something can’t be done. Through CIP4, we have spent the last 17 years learning about the different challenges that printers face in the different parts of the production workflow and have always taken a pragmatic approach to finding a solution. We have learned a lot about our partners’ products and how to integrate with them and we keep an open attitude to finding the right solution with our partners, whoever they are. We have done this so many times and have so many different production recipes in our repertoire, we are able to achieve really great things when we work on integration projects with our customers. Are you talking about JDF? Yes, but not just about JDF. There are lots of other technologies that you can use to integrate software and we will use the most effective option that’s available. Sometimes we use a combination of several different technologies so that we can create the best experience for our customers. Yes, we do! And many of our partners and customers have made use of this already, integrating other software with our MIS, creating custom dashboards, providing portals for self-service quotes and more.